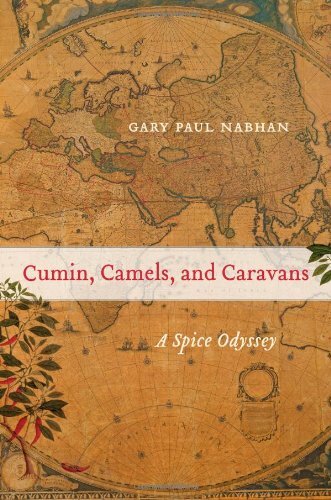 Gary Paul Nabhan takes the reader on a vivid and far-ranging journey across time and area in this fascinating seem at the romantic relationship amongst the spice trade and culinary imperialism. 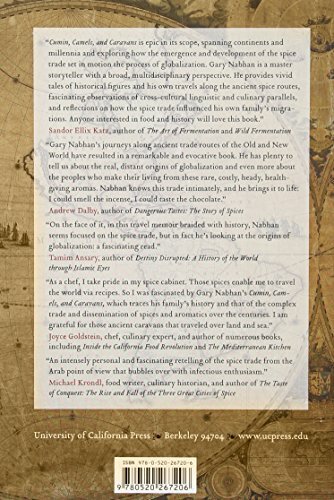 Drawing on his personal family’s historical past as spice traders, as effectively as travel narratives, historical accounts, and his experience as an ethnobotanist, Nabhan describes the essential roles that Semitic peoples and desert floras had in setting the stage for globalized spice trade. Traveling along four prominent trade routesthe Silk Street, the Frankincense Trail, the Spice Route, and the Camino Genuine (for chiles and chocolate)Nabhan follows the caravans of itinerant spice merchants from the frankincense-gathering grounds and ancient harbors of the Arabian Peninsula to the port of Zayton on the China Sea to Santa Fe in the southwest United States. His stories, recipes, and linguistic analyses of cultural diffusion routes reveal the extent to which aromatics such as cumin, cinnamon, saffron, and peppers grew to become adopted throughout the world as signature elements of various cuisines. 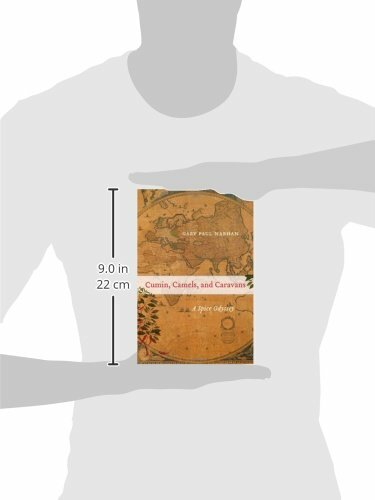 Cumin, Camels, and Caravans demonstrates that two specific desert cultures frequently depicted in continuous conflictArabs and Jewshave spent a lot of their background collaborating in the spice trade and suggests how a more virtuous multicultural globalized society might be accomplished in the potential.